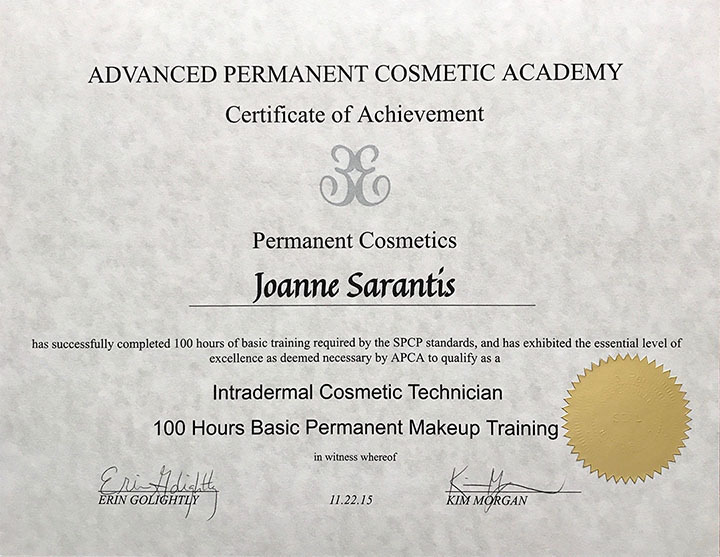 Joanne Sarantis studied at Advanced Permanent Cosmetic Academy in Naperville, IL. 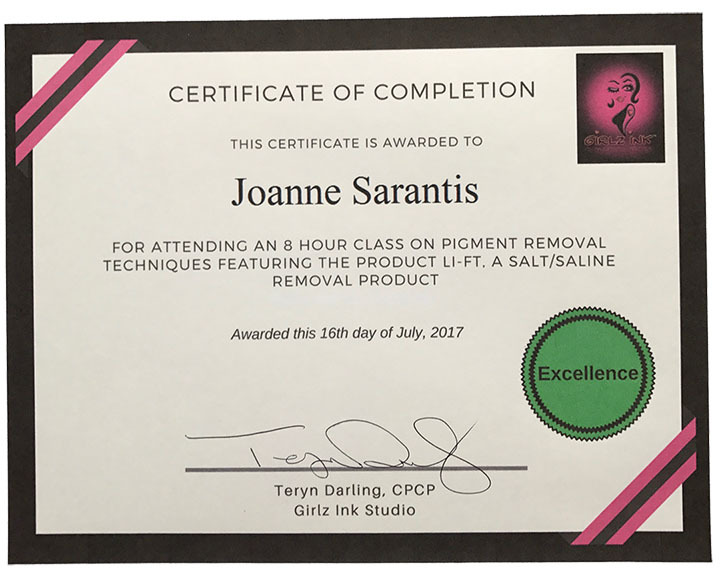 She has completed a 100-hour certification class, specially trained by Erin Golightly, Vicky Hansen, and Kim Morgan. 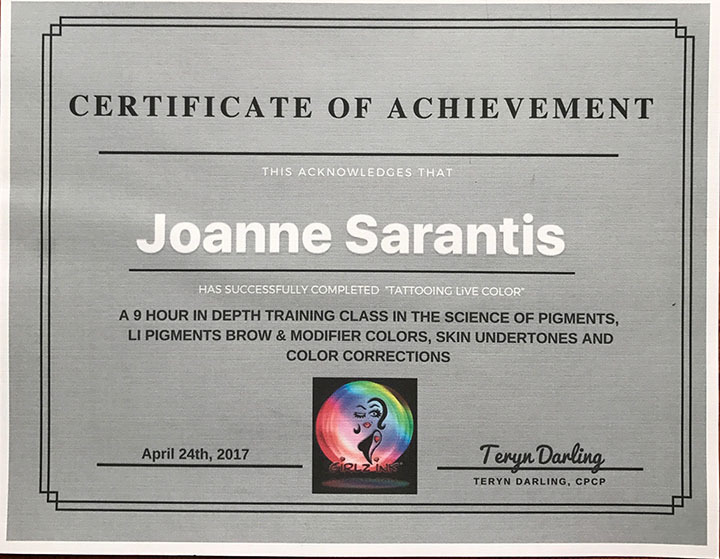 In addition, she is certified in manual and machine shading technique trained by Liucija Penkauskiene. 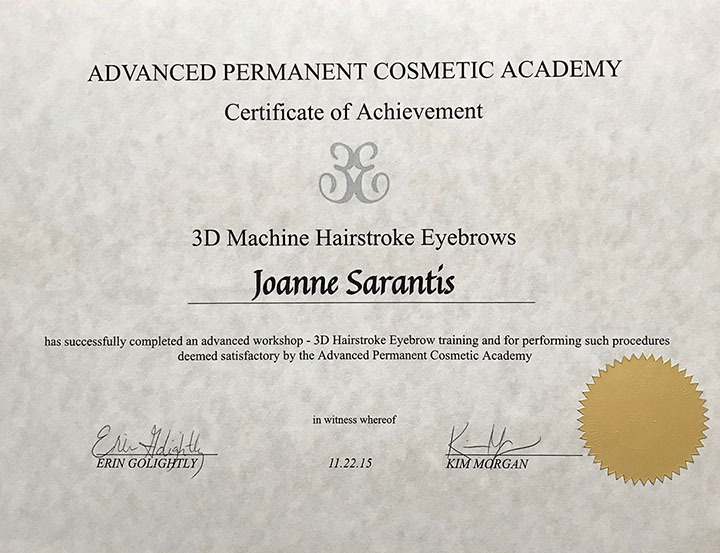 Joanne is also trained in 3D Areola Restoration. 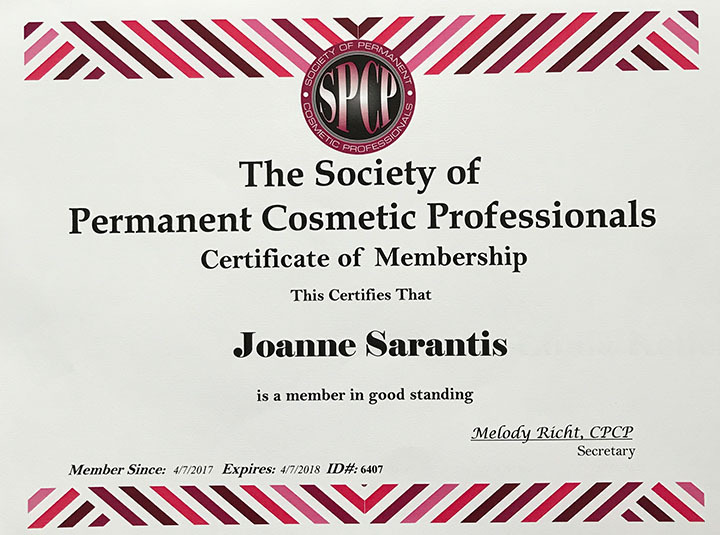 She is a member in good standing of the Society of Permanent Cosmetic Professional (SPCP). 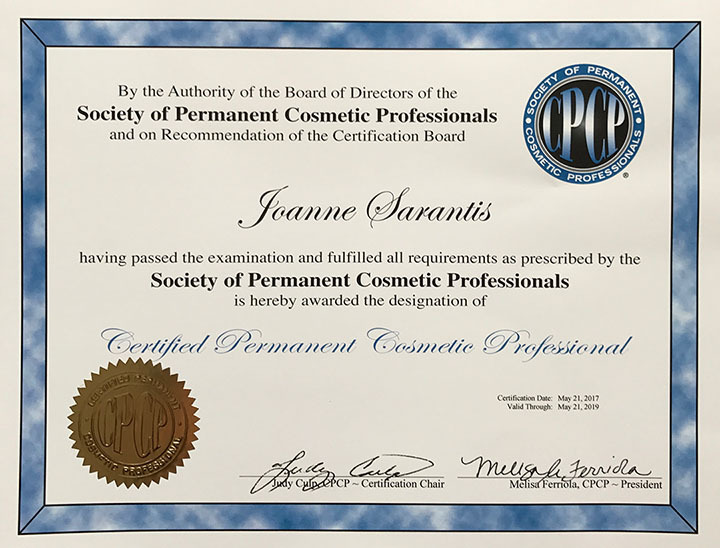 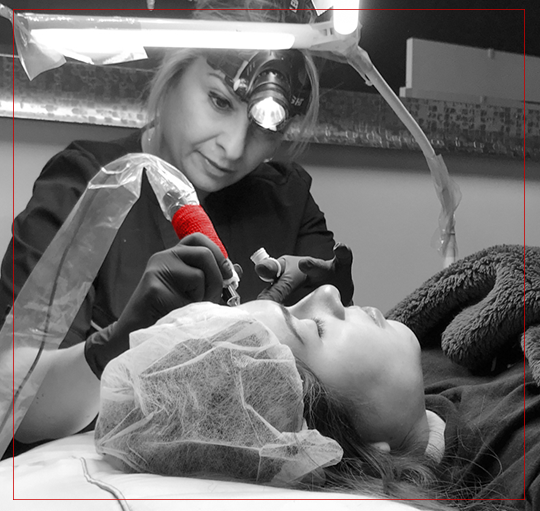 She has completed her CPCP Certification (Certified Permanent Cosmetic Professional. 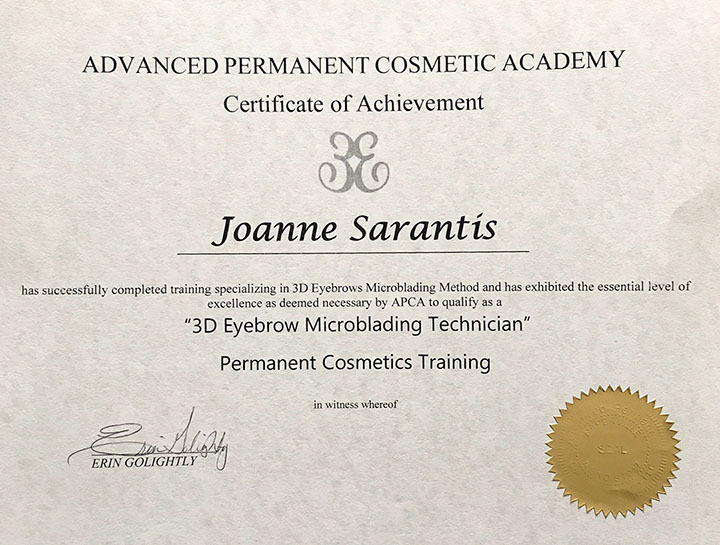 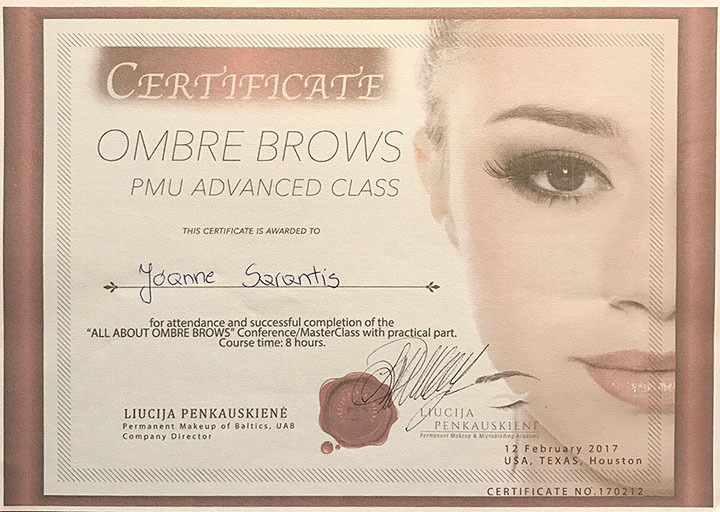 She has completed Blood Borne Pathogens Training & Infection Control, ensuring that she always adheres to the highest standards of sanitation, hygiene, and sterilization when performing cosmetic procedures.